The Institute for Christian Spirituality nurtures the discipleship of Christ followers by cultivating a deeper awareness of and participation in the Holy Spirit’s redemptive activity among us, within us, and through us in the world. We pursue this mission by exploring spiritually forming practices and facilitating the journey with others through spiritual friendships and spiritual direction. In March 2010, Lipscomb opened the Institute for Christian Spirituality, bringing together several seasoned spiritual formation programs with added programming for nurturing intentional personal spirituality and discipleship through study, seminars and conferences. The institute’s goal is to help students and the greater community understand, enrich and share their experience with God. 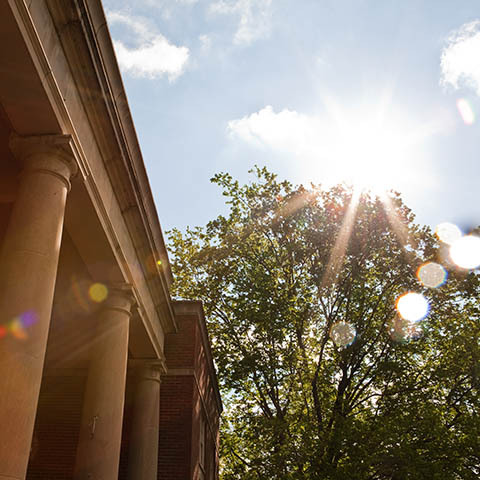 The Institute for Christian Spirituality was launched several years ago as an innovative expression of Lipscomb University’s commitment to the church. As dean of the College of Bible & Ministry, I am eager to see the institute continue its good work and to creatively branch out in its mission. I think you’ll see some exciting developments in this year’s programs. ICS wants to partner with your church and provide resources that will positively affect the life of your congregation. Five offerings do this in different ways. We’ll share tools that help revitalize your sense of mission, manage conflicts that arise, renew your hunger for God’s Word, better attend to the spiritual life of your children, and introduce new practices that enrich a daily walk with God. You’ll also see ICS’s commitment to church leaders. Retreats for refreshment and equipping, a certificate programs focused on pastoral care, and an intensive program for those in senior leadership roles all minister to those who serve our congregations. If these programs connect with needs in your community, be sure to connect with us to learn more. Discover new possibilities to this question: What are the forms of life together that will help us participate in the mission of God here and now? The Institute for Christian Spirituality will host Nurture Conference 2019 on March 8 and 9. Sign up today. For all who want to accompany others in discerning the presence and work of God in their lives, and who want to become more aware and responsive themselves, Lipscomb offers a new ministry training program. Begin your journey in uncovering the ancient practice of spiritual direction.